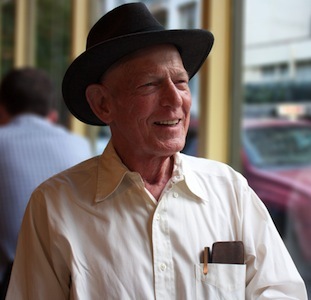 The New Writing Series welcomes poet and art critic Bill Berkson (NWS F’01, F’09) back to the University of Maine for a reading on Thursday, April 23, 2015 at 4:30pm in the Allen and Sally Fernald APPE space in 104 Stewart Commons. The reading will be introduced by NWS coordinator Steve Evans and followed by a Q&A with the author. It is free and open to the public. 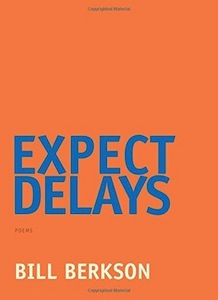 Wide-ranging and experimental, Expect Delays confronts past and present with rare equilibrium, eyeballing mortality while appreciating the richness and surprise, as well as the inevitable griefs, inherent in the time allowed. The authors who appear in the NWS write for adult audiences and make use of a wide spectrum of language and subject matter. We are happy to advise parents and secondary school teachers on which events may not be suitable for their children or students. Contact Series coordinator Steve Evans at steven dot evans at maine dot edu or at 207-581-3818 a few days in advance. 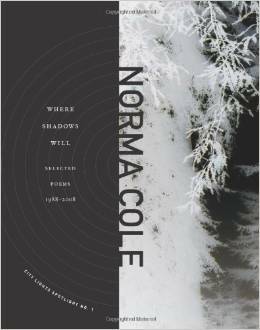 The New Writing Series welcomes poet and translator Norma Cole to the University of Maine for a reading on Thursday, April 16, 2015 at 4:30pm in the Allen and Sally Fernald APPE space in 104 Stewart Commons. The reading will be introduced by Carla Billitteri and followed by a Q&A with the author. It is free and open to the public. Norma Cole’s most recent books of poetry include Win These Posters and Other Unrelated Prizes Inside, Where Shadows Will: Selected Poems 1988—2008, Spinoza in Her Youth and Natural Light. TO BE AT MUSIC: Essays & Talks made its appearance in 2010 from Omnidawn Press. 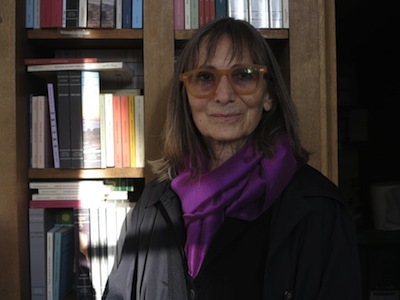 Her translations from the French include Danielle Collobert’s It Then, Collobert’s Journals, Crosscut Universe: Writing on Writing from France (edited and translated by Cole), and Jean Daive’s A Woman with Several Lives. Actualities, her collaboration with painter Marina Adams is forthcoming from Litmus Press. She has been a contributor to SFMOMA’s blog Open Space and also to the Poetry Foundation’s Harriet. Cole has been the recipient of awards from the Wallace Alexander Gerbode Foundation, Gertrude Stein Awards for Innovative Poetry, the Fund for Poetry, the Creative Work Fund and the Foundation for Contemporary Arts. Cole has taught at many schools, including the University of San Francisco, Saint Mary’s, Naropa University and San Francisco State, and was a Regents’ Lecturer at UC Berkeley. This is her first appearance in the New Writing Series. The New Writing Series welcomes fiction writer Julia Elliott (F’08) back to the University of Maine for a reading on Thursday, April 9, 2015 at 4:30pm in the Allen and Sally Fernald APPE space in 104 Stewart Commons. The reading will be introduced by David Kress and followed by a Q&A with the author. It is free and open to the public. Julia Elliott’s collection of stories, The Wilds, was published to wide acclaim in October 2014. Her novel The New and Improved Romie Futch will be published by Tin House Books in 2015. An event report for her April 2008 reading at UMaine can be found here.